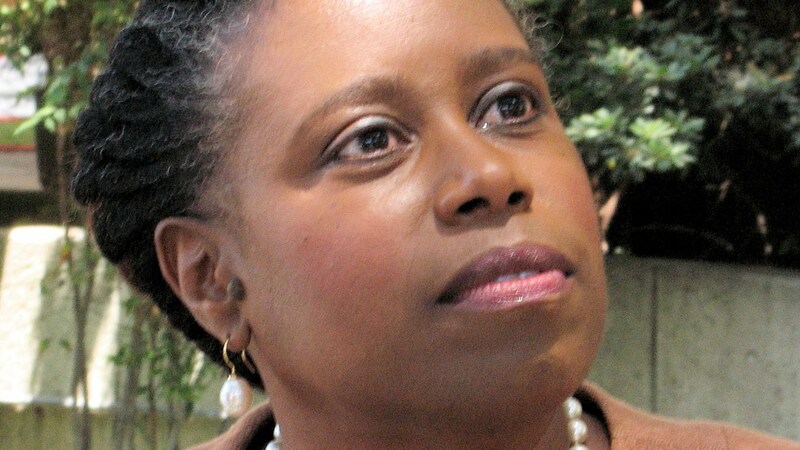 Cynthia McKinney is now "Dr." Cynthia McKinney! Yes, she has got her Ph.D. and The Mental Militia congratulates her on this excellent accomplishment. Also please note that Peter Dale Scott was on her Thesis Committee! 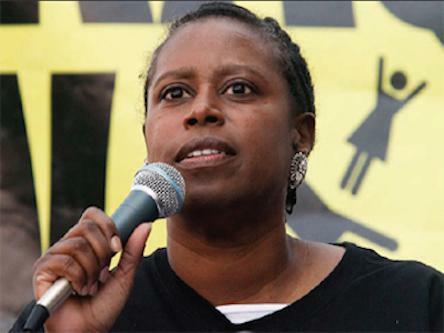 Cynthia McKinney is an internationally renowned peace advocate and human rights activist. She began this important work on day one of her political life and hasn’t looked back. With her opinions, actions, and even her sense of style, McKinney has inspired both admiration and controversy. In 1988, McKinney won a House seat in the Georgia Legislature against all odds. She was the first African- American woman to represent Atlanta and Fulton County in an at-large district in Georgia’s history. She became a household name when she challenged the state’s leadership to abide by the Voting Rights Act and grant fair representation to all of Georgia’s residents, including the more than 30% who are of African descent. She appealed directly to the United States Justice Department and won. In 1991, speaking from the “well” of the Georgia House of Representatives, she made national headlines when she challenged President George Herbert Walker Bush’s decision to make war against Iraq. 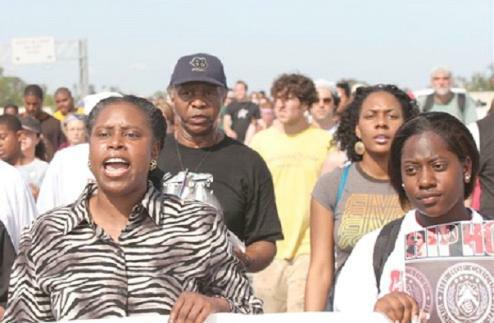 Despite the vilification by the state’s pro-war establishment, her voice for justice and peace was heard by the people. In 1992, McKinney won a seat in the U.S. House of Representatives in a newly created district, drawn from Atlanta to Savannah. Again, Cynthia made history by becoming the first African-American woman to represent Georgia in the U.S. Congress. Cynthia voted against every war-funding bill put before her. During her tenure, her district was re-drawn several times and re-numbered. McKinney protested the new boundaries, but was still reelected to the seat until the pro-Israel Lobby targeted her because of her support for peace in Palestine. She was a supporter of a Palestinian State in Israel-occupied territory; she sparked controversy by criticizing American policy in the region at a time when few dared to speak out. After 11 September 2001, McKinney stated that based on her readings, the President had received warnings and that the matter deserved independent investigation. The criticism she received as a result, combined with being targeted by the pro-Israel lobby, contributed to her defeat in the 2002 election; however, she ran for the seat again and was re- elected in 2004.
that flooded into her opponent's campaign coffers. Late in 2007, Cynthia became a Green Party Presidential Candidate. Cynthia won the Green Party nomination for U.S. President and in 2008 ran for President. In December 2008, Cynthia made international headlines when the Free Gaza boat she was aboard was rammed by the Israeli military as she was attempting to deliver medical supplies to the people of Gaza during Israel's Operation Cast Lead. Cynthia and her fellow humanitarian activists, rescued by Lebanon, never made it to Gaza. In 2009, Cynthia attempted to reach Gaza again, this time armed with crayons, coloring books, and school supplies for the children. She and her fellow human rights workers became the Free Gaza 21 after their boat was overtaken in international waters by the Israeli military and they were kidnapped to Israel. Cynthia spent 7 days in an Israeli prison. Finally, Cynthia entered Gaza by land in July 2009 with George Galloway's 250-volunteer-strong Viva Palestina, USA. the last day of the ride was able to complete over 65 miles on her bicycle. In 2011, Cynthia led a DIGNITY Delegation of alternative and independent journalists to Libya while US and NATO bombs, laced with poisons including depleted uranium, targeted civilian populations. She then edited The Illegal War on Libya (Clarity Press, 2011). Afterward, she completed a successful 29-city peace tour in the United States and Canada to promote a more peaceful U.S. foreign policy. Cynthia now travels the world speaking out on human rights, nature’s rights, and peace while she completes her studies toward a Ph.D.
She holds an MA from Fletcher School of International Law and Diplomacy. Congressional Pledge To American Israel Public Affairs Committee? Editor's Note: Before posting the next video of Cynthia being Cynthia, I would like to interject a brief description of my view at present time, in August 2016.I do so as a friendly gesture to Cynthia McKinney, in hopes she will agree. The Founders worded a Constitution which created a General (Federal) government. The government the document created must function according to that document's grants and enumerations, and the government's disabilities which are written or are carried obliquely in such things as are alluded in the Ninth and Tenth Amendments. Nowhere in that founding legal charter is any authority granted, authorized, or enumerated which would require or allow the Federal government to manage the internal affairs of any other sovereign nation. It is to govern the united States and its Territories, period. The Constitution is the work order for the Federal government, and its design, character, and original intent is for the Federal government to administer self-governance to the People of the several States. The Constitution does not provide for this government to frolic about the planet spreading "democracy", doing nation-building experiments, making wars which are not declared by Congress, or exploiting or interfering with internal affairs of any foreign government's nation-state. The Constitution is not for the administration of governance to any other nation on earth outside the Union of the several States in compact. For our Congress to welcome political lobbies from other nations is a transgression and is repugnant to the Constitution. I realize that many Americans feel that someone must protect Israel. I think that is a fine sentiment in life's arena of sentiments, and can encourage anyone to support Israel by simply opening one's check book and writing a check to the State of Israel and mailing it forthwith. But when those who wish to support Israel decide to use the U.S. Federal government to do so, such folks are, perhaps obliviously or innocently, destroying our Constitution by assuming it has a power which is not granted by its Constitution. To send American tax dollars to any foreign nation is an act, however benevolently intended, which opens the Federal government's "box", letting it outside the box the Founders intended to contain it. All so-called "foreign aid" or other forms of "security" bestowed to any nation(s) is unlawful, for it is not provided for in our nation's founding documents. In my opinion, that's the end of the argument. But there are many other opinions besides mine, so I am not pushy about this. I'm just noting down a few facts. However, it behooves us to recall just who created the State of Israel in 1948, who backed that plan, who had the motive to create the State of Israel exactly where it was created, and, once we recall "who" all those people were and are, we must also note that their ultimate goal is to do away with all nation-state sovereignty and enfold all nations into the new world order under a one-world government, and, unbeknownst to Israel itself, Israel will also be folded without sovereignty into the one-world government. That superior government will be operated, controlled, and administered by a handful of powerful financiers at the apex of a pyramidal power structure which we today call the "global economy". Their silent grip on our government, partially effected by their central bank called the Federal Reserve System, Inc. and the government debt it creates, (a debt which will always be held by the controllers who used the Federal Reserve System to create it), that grip influences not only economic swings but also U. S. political policy both foreign and domestic. This is treason against the Constitution, and this is largely responsible for the precarious condition of fear in which modern man finds himself geo-politically, philosophically, and even personally. Countless millions of Americans are faced with permanent war for permanent peace, a bogus war on drugs and a bogus war on terror, and with sacrifices of sovereignty in the name of security. We would be short-sighted to consider AIPAC without noting also its relationship with the Council on Foreign Relations (CFR), the Federal Reserve System, Inc., Wall Street and the 16th Amendment Federal Income Tax Fraud, the Technocracy of the Tri-Lateral Commission, NATO, NAFTA, CAFTA, and the TPP, the mainstream media and Federal psychological operations of the military-industrial corporate-contracting high-tech spewing authoritarian surveillance police state under the dark umbrella of the Department of Homeland Security, which is fed memes and psychological profiles by the SPLC and ADL for dissemination through a national network of Fusion Centers. The very people who are creating the military-police state in America are intent also on ultimately destroying Israel. They are using Israel and Israel does not even know it. This cannot be stopped by usurping the Constitution. It can be stopped by ceasing with "foreign aid" to all nations.